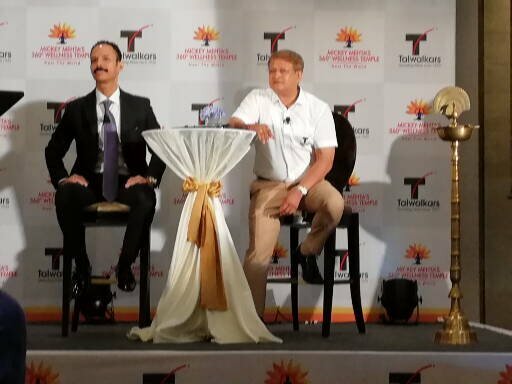 Global leading holistic health guru, wellness wizard & corporate life coach, Dr. Mickey Mehta, announced a strategic alliance with Talwalkars Better Value Fitness Limited (Talwalkars), one of Asia’s largest fitness companies. The two titans of fitness and wellness have partnered in a global endeavour to start a wellness revolution for human evolution. 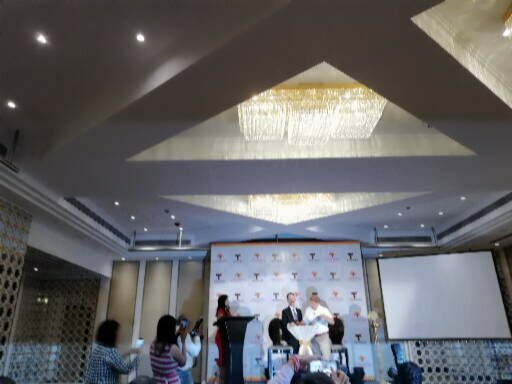 The agreement was signed by Dr. Mickey Mehta and Mr. Prashant Talwalkar, MD & CEO of Talwalkars at St. Regis Hotel, this afternoon. The visionary guru plans to revolutionize the usual gym workout, by transforming the mindsets from conventional fitness modalities to adopting ancient wellness wisdom & philosophies. Today Mickey has 15 wellness centersacross Mumbai propagating Mickey’s wellness programs. With Talwalkars’ industry leadership and national footprintof over 220 fitness centers, this partnership will leverage Talwalkar’s infrastructure to promote Mickey’s signature wellness offerings and branded IPs in India which will help him build a global brand footprint. Some of Mickey’s signature wellness offerings and branded IPsinclude wellness foods, nutraceuticals, fitness/sports merchandise and programs such as ‘Learn swimming in 24 hrs’, ‘Grow Tall with Mickey Mehta’, ‘Be stronger, Live longer- Age Reversal Program’ and most importantly Mickey’s ‘Eco-friendly Go Green Workouts-the first ever green work-out in the world amongst many others.Apart from this Mickey plans to strengthen his digital presence and launch Mickey Mehta 2.0across the world! FITNESS MAXIMIZED, WELLNESS OPTIMIZED, UNIVERSE MICKEYMIZED!